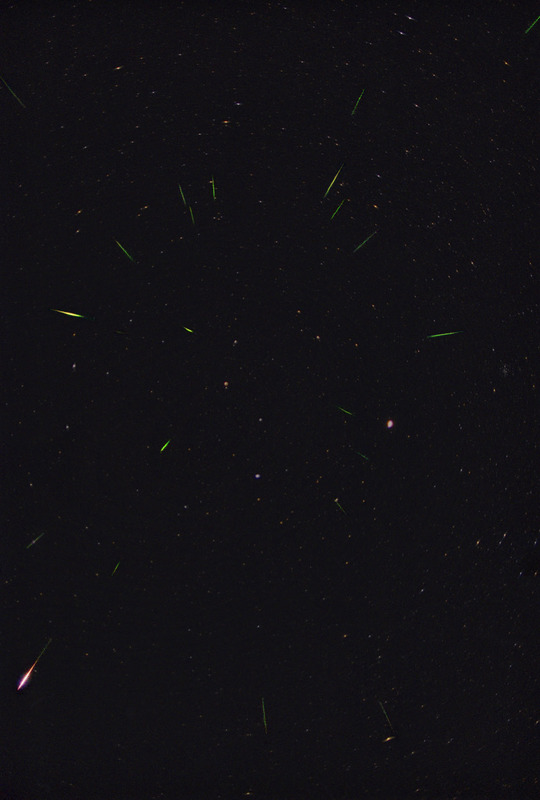 There are 23 Leonids shown here. The Leonid to the lower left was brighter than Jupiter, so perhaps it was minus 3rd or minus 4th magnitude. Jupiter is to the right of center. To the right and above of Jupiter is the Beehive open cluster (M44). To see an animation of the bright meteor above click here.